Ferruccio Lamborghini’s first production car, the Touring-styled 350GT, debuted at the 1964 Geneva Motor Show. 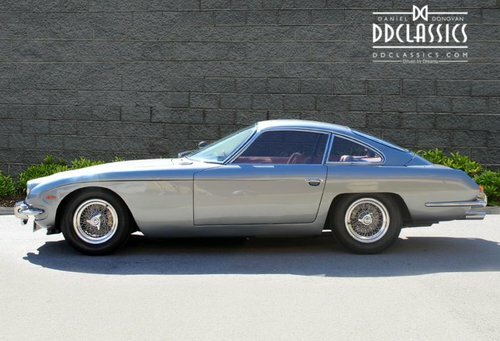 The work of two of Italy’s most illustrious automobile designers, the 350GT featured a glorious 3.5-litre, four-cam V12 designed by Giotto Bizzarrini fitted in a chassis penned by Giampaolo Dallara. 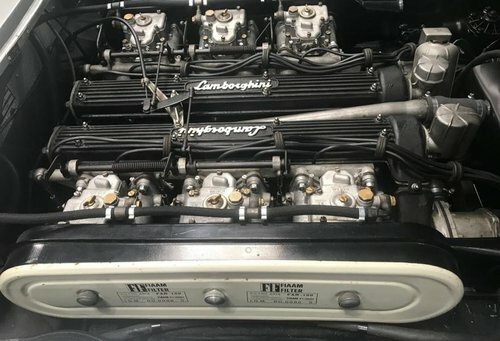 The 350GT’s four camshafts and all-independent suspension meant that it upstaged the best which Ferrari offered at the time, but to compete with his Maranello rival’s larger models, Lamborghini needed a four-seater, and the 400GT 2+2 duly appeared in 1966. 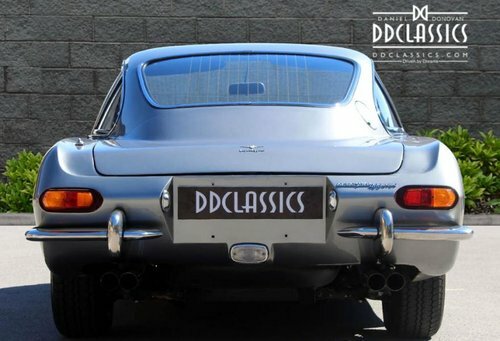 A development of the 350GT, the newcomer used an enlarged – to 3,929cc – V12 engine and featured occasional rear seating together with various detail revisions to the coachwork. Finished in Grigio St Vincent coachwork with Cognac hide, gleaming stainless steel bumpers and sitting on Borrani spoked road wheels, three eared spinners with correct period tyres fitted. 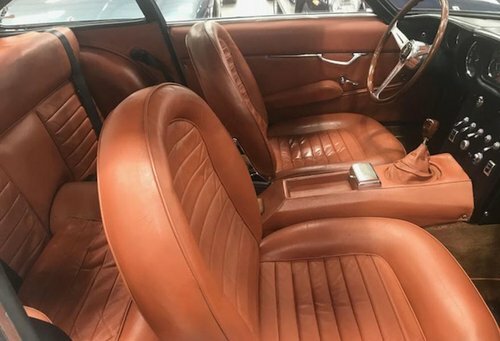 Originally European delivered, the car was first registered in Rome, Italy where it resided until crossing the English Channel in 1972. 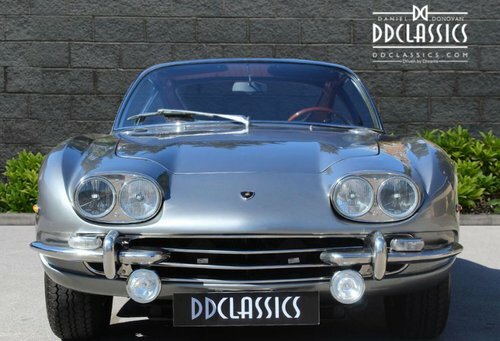 By 1973 the Lamborghini was fully UK registered and the stunning 400GT has remained until the present day. 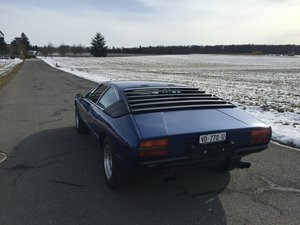 Over the next 45 years the ‘GT’ has had just 3 lucky custodians whohave maintained the car regardless of expense and within the history folder there are MOT certificates dating from 1973 to date. In 2014 a Marque specialist was instructed to prepare the car for a European tour where a huge amount of attention was paid to the suspension, brakes, cooling, fuel system & lastly the car benefitted with having a modern high torque starter motor fitted.